When we first saw the iPhone X last fall, we also got word of a wireless charger that could interface with the device. We may still have a while to wait until the Apple AirPower wireless charger release date, however, as there is no clear indication of when it will hit the market. Wireless charging has been a standard feature on many high-end Android phones for a few years at this point, and while it has yet to get to the same efficiency as plugging your phone in, it adds a lot of conveniences that many users continually take advantage of. Being able to set your phone down on a wireless charging “puck” of sorts allows you to easily set your phone down when it’s time for bed, for example. But despite the announcement last fall, we’ve yet to see the Apple AirPower wireless charger release date. Apple devices, while excellent in a lot of ways, tend to lag behind some Android manufacturers in certain situations. For example, we didn’t see an AMOLED screen for quite some time, and wireless charging has yet to make its debut for iOS devices. Given that the wireless charging was marketed as part of the appeal of the iPhone X, it’s disappointing that we still haven’t seen the Apple AirPower wireless charger release date. The fact that we haven’t received much word or news about when it will actually hit the market doesn’t exactly inspire confidence either. The AirPower wireless charger is essentially a charging pad that would allow users to charge three devices at once at a rate that is faster than the traditional Qi wireless chargers that are currently on the market. The release of such a device could revolutionize wireless charging technology, but there have clearly been some bumps in the road when it comes to translating the charging pad from a concept into a full release. 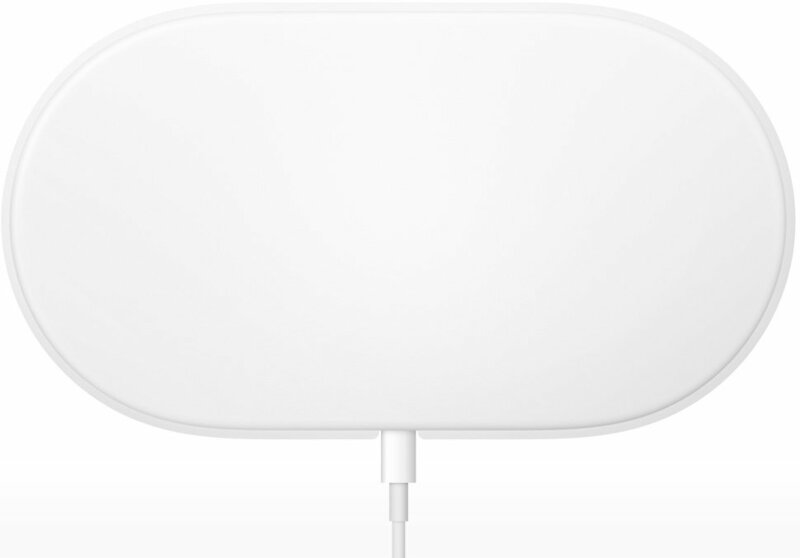 Not having a solid Apple AirPower wireless charger release date for over 9 months is a little bit unusual for the company – especially given their recent track record. Apple had previously capitalized on product announcements by opening up pre-orders within the next couple of weeks. By keeping up with the hype and giving people access to the product right after it was revealed, they have seen excellent sales with their iOS products. With the Apple AirPower wireless charger release date not yet announced, it’s likely that it will be released to little fanfare. While many were very excited about the possibilities when it was first announced, the excitement has since died down as we remain in limbo regarding any indication of when it will finally hit the market. There has been very little information released, but Bloomberg believes that the main problem is from a technical standpoint. Apple promised the world with a wireless charging mat that can top up multiple different kinds of devices at a speed that is faster than traditional wireless chargers, but they are apparently finding difficulty making a mat that can handle an iPhone, AirPods, and an Apple Watch all at the same time. They are aiming to release a mat with zero charging dead spots, so you can receive charging power no matter where you drop your devices. The Bloomberg report also suggests that Apple was originally considering only including wireless charging on the iPhone X rather than any sort of traditional charging – an idea that we are glad was axed considering the numerous situations where you might not have access to an AirPower mat. It’s possible we will see an Apple AirPower wireless charger release date sometime this summer, but you shouldn’t hold your breath. With how much of an ordeal it seems to be to bring this product to market, we may be left waiting quite a long time – perhaps even until the next generation of iPhones launches this fall.